If you’re an EHS professional, your organization’s safety culture must be a major focus—but a strong culture can be tricky to build. Sure, it’s easy to say that you want a safety culture built on inspiration, not fear, and that the goal is for employee engagement in safety to be positively pursued, not mandated. But how do you walk that line between encouragement and discipline, between being a safety coach and being a safety cop? Our guest on today’s episode, Shawn M. Galloway of ProAct Safety, has some suggestions! Shawn M. Galloway, President of ProAct Safety, is a consultant, professional speaker, and author of several bestselling books on safety strategy, culture, leadership, and Behavior-Based Safety. Shawn will be delivering the closing keynote address as well as presenting the educational session “Encouragement and Discipline: When to Be a Coach and When to Be a Cop” at the EHS Daily Advisor’s Safety Culture 2018 event taking place September 12 through 14 in Atlanta, Georgia. Register Now! 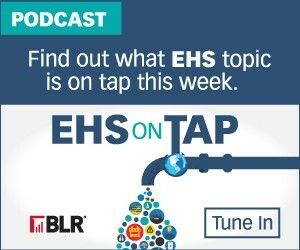 For our EHS on Tap listeners, enter the coupon code “PODCAST” at checkout to take $50 off the total cost of your conference registration! Download the podcasts on iTunes here, and also be sure to visit our SoundCloud page for a full listing of all of our episodes!